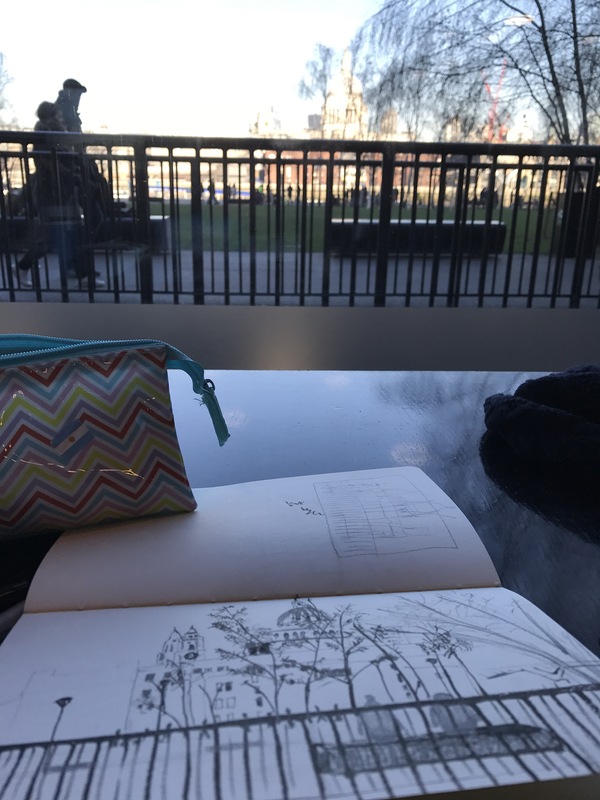 This weekend I joined the London Urban Sketchers Group to sketch views of London from the Tate Modern. It was a lovely sunny day but extremely cold. The Urban Sketchers group is an amazing group of talent and there is a huge degree of comfort to see other sketchers around you while you sketch. I have decided to focus on sketching with just black ink, pencil, felt tip, watercolour and limit the use of colour for now. I am hoping this will train my eye to see tone better. I enjoyed sketching the view of St Paul’s Cathedral although trying to capture the texture of the trees was difficult. Sketching people was also tough – people walk so fast in London especially when it is cold! If you are in London, come and join us for the next sketching outing. Find all the details here. I will definitely be there with my sketchbook. Loving your work Biral – you have a lot of talent! I love the yellow background. Makes it pop. Thanks Joe – I like how you use yellow with your illustrations too!